UPDATE: This review has now been officially re-published by The Rational Argumentator blog. UPDATE #2: A section of this review has now been quoted by Psychology Today. The qualm of death is a very uneasy burden we all suffer from. We dedicate hours of our time, spent in colloquy, discussing the myriad risks of life, though subsequently the tender rage to resist to ensure that life lives on. But then, when do we spend our time in preparing our children – the next generation – for what is to come, what is to discuss, and what is to fight for? I believe this wonderful children’s book, provided by the Stolyarovs, is a very grand step forward in achieving this. Not too grammatically complex, and not too excruciatingly simplistic, Death is Wrong is a blunt dose of reality, quick to the punch and holding nothing back. This is the book I wish I’d have read as a young child. As science matures and technology continues growing at an exponential pace, especially in the medical sector, the words written here in this book will not only live on forever via the vast archives of historical literature, it will live on forever through the lives of the indefinitely extended – the cyborgs, the transhumans, the posthumans, etc. If you have ever asked, “Why do people have to die?” then this book is for you. The answer is that no, death is not necessary, inevitable, or good. 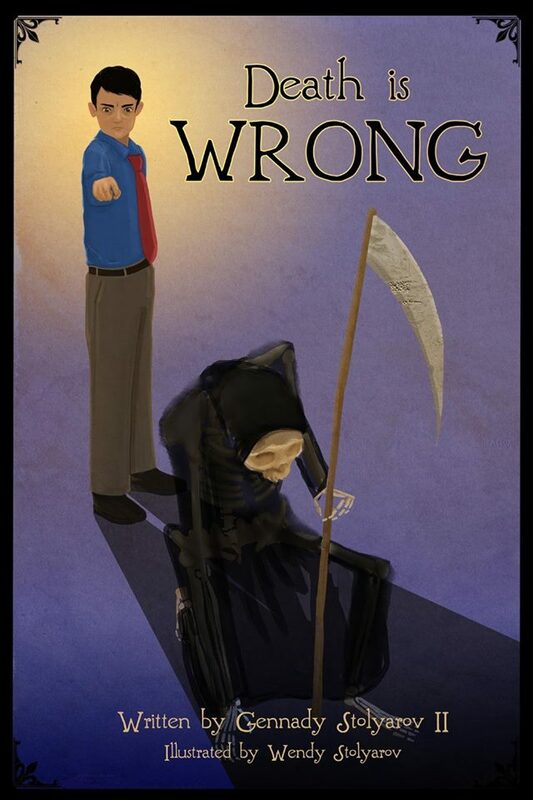 In fact, death is wrong. Death is the enemy of us all, to be fought with medicine, science, and technology. This book introduces you to the greatest, most challenging, most revolutionary movement to radically extend human lifespans so that you might not have to die at all. You will learn about some amazingly long-lived plants and animals, recent scientific discoveries that point the way toward lengthening lifespans in humans, and simple, powerful arguments that can overcome the common excuses for death. If you have ever thought that death is unjust and should be defeated, you are not alone. Read this book, and become part of the most important quest in human history. This book was written by the philosopher and futurist Gennady Stolyarov II and illustrated by the artist Wendy Stolyarov. It is here to show you that, no matter who you are and what you can do, there is always a way for you to help in humanity’s struggle against death.